As HM, Haute Mom, my inspiration for this blog, like everything else in my life is my family. My typical source of inspiration, like most, comes from necessity. When an upcoming family event is occurring i.e a family dinner, I enjoy putting together an evening that everyone will think is delicious and beautiful. Another inspiration for my blog is my personal growth whether it is my health and finding new delicious recipes, or with our home decor. I truly enjoy decorating, designing and turning our house into a home sweet home. My current space that I needed inspiration for is my kids playroom. Having a 5 year old girl and 2 year old boy, with each one having different tastes, I have had to focus on creating a space that they can grow into and share for years to come. 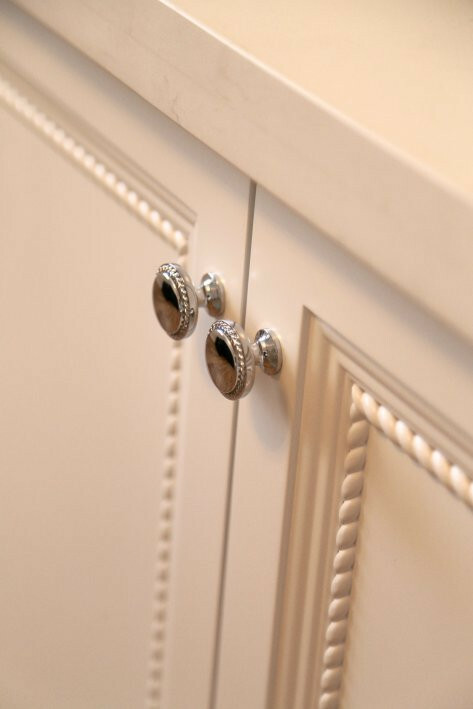 One of my favorite ways to create an timeless space is to personalize a space with a custom built-in. 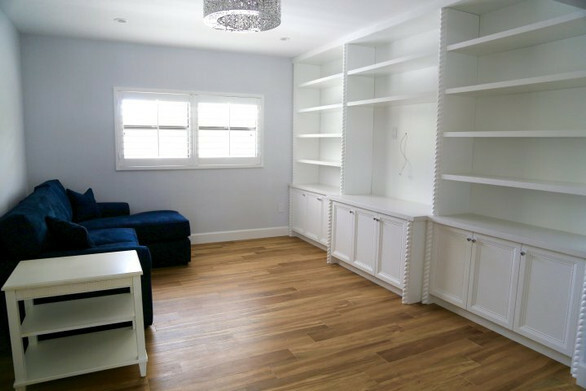 I generally go towards a transitional design and for this project I loved a white semi-gloss finish. 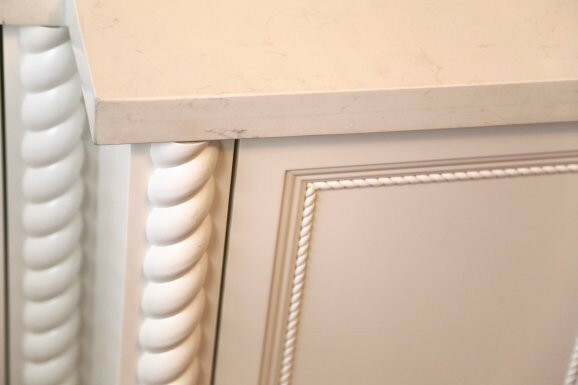 The transitional design blends classic and modern, making the piece timeless, all the while making the room feel bigger with it being finished in white. 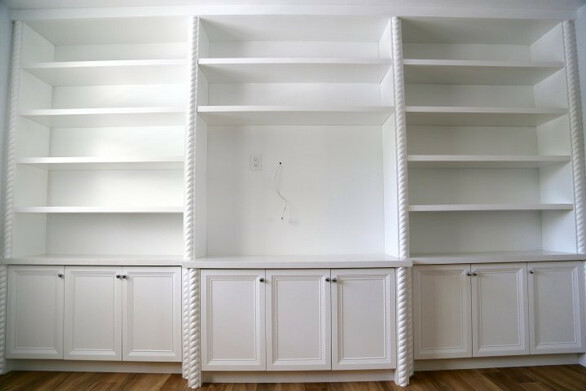 To create a one of a kind piece, I added a 3″ rope design to the built- in interior trim, giving it a touch of traditional elegance, but still remaining transitional. The countertop is a ceasarstone , that I fell in love with right away. For the walls, with the built-in (Super White OC 152 Semi-Gloss) taking up one whole wall, I chose a Benjamin Moore Grey ( Stone White 2120-70) for the remaining 3 walls. The large windows were covered in Super White Plantation Shutters with 3″ shutters. GORGEOUS! 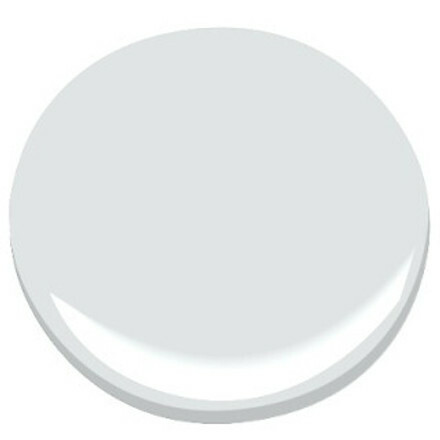 The majority of our home is being painted in Super White OC-152, with the exception of a couple rooms. Popular whites, by Benjamin Moore, that I recommend are: ( White Dove & Simply White have a yellow undertone, while Super White has a grey undertone that will NOT turn yellow over time.) 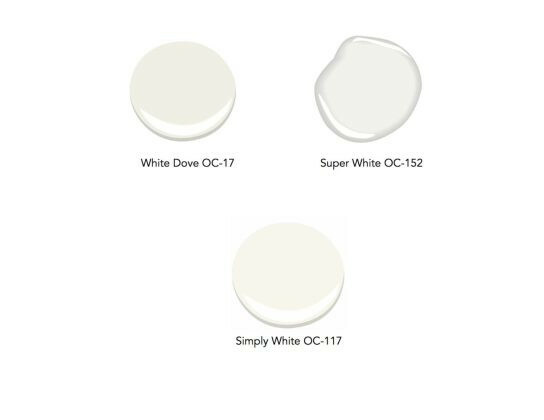 Picking a white depends on what kind of white you like, I personally LOVE a crisp pure white, which is Super White OC-152. The next step once the built in was installed was determining what furniture I wanted to complete the room. I knew that at this point in time both my husband and I did not want a TV in the playroom, but wouldn’t rule it out at a later date. Regardless with or without a TV, I wanted the kids to have another seating area for down time. It could be an escape from the rest of the house without having to go to their own rooms. My inspiration for the sofa was durable, functional for the space still allowing 3-5 people to sit comfortably at the same time & a piece that I knew would stand the test of time from toddlers to pre-teens. With a great piece of furniture, the only thing that would need to be changed over the years would be the fabric and well I’m totally fine with that because well who knows maybe at that point I’ll be excited for a new look! I ended up researching a ton of sofas, everything from Mitchell Gold & Bob Williams to Baker Furniture, and obviously all the in between. 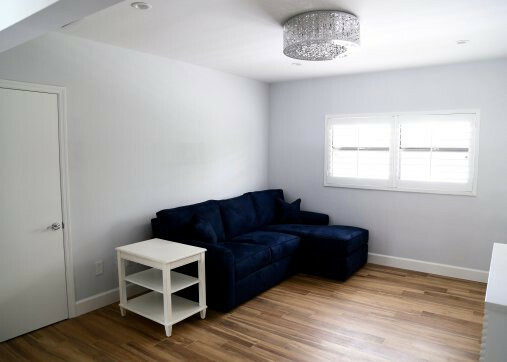 With an investment like this , not my first time buying a couch, I decided to go with the Ethan Allen Retreat Sectional in a custom Deep Navy Blue microfiber fabric, and well the end result is STUNNING! The final few touches in the playroom, BEFORE decorating begins was figure out a side table next to the sofa and lighting. Side table was a no brainer, in my opinion, as I wanted a simple non competing piece , I also chose Ethan Allen Wesley Table in Cirrus White. Simple, elegant and gave me space to put a basket for blankets & a lamp if necessary. Last touch was the lighting. In our home the playroom is a central room to the house and can be seen when you walk in downstairs, so I needed to make sure that it gave off enough light and still was aesthetically pleasing. 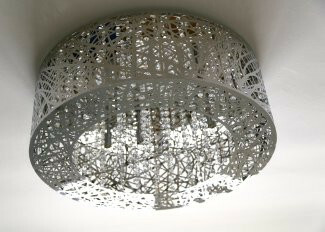 I chose a beautiful light fixture by ET2, the Inca Collection on Lightingdirect.com . 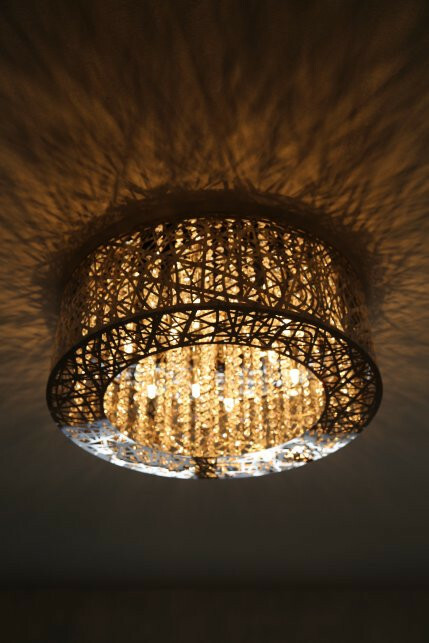 In our household it has been nicknamed the birds nest and quite frankly is one of my favorite fixtures in my whole house. With the playroom ready for decorating stay tuned to see how my home sweet home- playroom turns out. I am super excited with how it all turned out and can not wait to share with you. Hope this gets your spark going and maybe create some inspiration of your own.